London: A recent act of inhumanity was committed by the employees of KFC who forced a 3 year old child out of their restaurant on the pretext that she was scaring their customers away. The 3 year old girl, Victoria was attacked by dogs who maimed her face viciously. 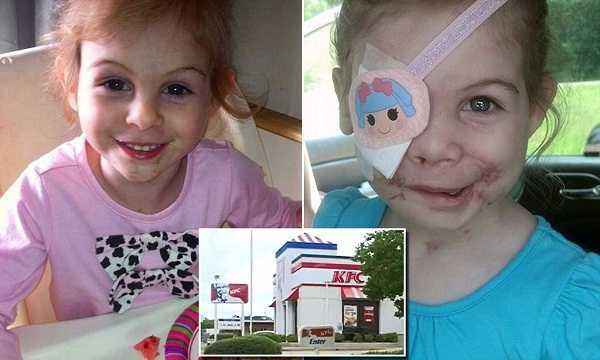 Apparently, the customers sitting in the restaurant were getting scared by her disfigured face, so the KFC staff forced the young girl out of their restaurant. Victoria was attacked by her grandfather’s dog. The attack led her to lose one of eyes completely, while the rest of her facial features were disfigured. Her nose, cheeks and the rest of the face received marks and was left bloody by the dog. 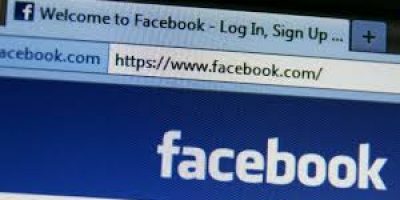 On Thursday, Victoria’s family took a picture of her, which they posted on Facebook with the caption, ‘Is this face horrifying?’ In their comments they also vowed never to go to KFC again because of the insult inflicted on the grievances of the family. KFC franchise has launched an inquiry on this matter and have posted an apology to the family saying that they are investigating this matter and that they will not tolerate such behaviour from any of their staff. KFC has stated that they are very sorry for such behaviour and are hoping for a speedy recovery of young Victoria.